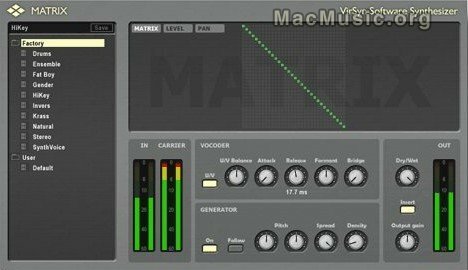 VirSyn has just updated its vocoder plug-in Matrix. - Internal generator can now be used without MIDI note input. - Line draw mode for channel matrix with shift+drag. - AudioUnit standard effect without MIDI added. - AudioUnit mono effect added. - MIDI learn was broken in VST 2.4 / AudioUnit versions. Matrix Users will be notified automatically about the update and the download links. A fully functional/time limited demo version is available - a Syncrosoft dongle (Steinberg key) is needed. Sep 17, 2011 Virsyn Announce the Release of Addictive Synth Version 1.1.